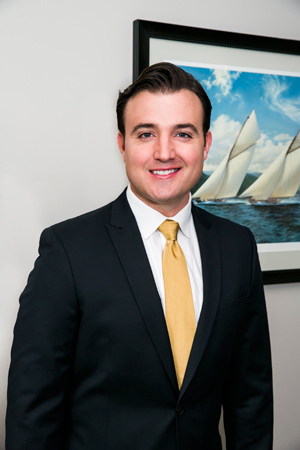 Sam Argier joined PSRS in 2015 and currently holds the title of loan officer and partner. Mr. Argier attended Chapman University and Mississippi State University where he earned a Bachelor of Fine Arts in Film and Television Broadcast Journalism and a Bachelor of Science in Geosciences and Broadcast Meteorology Prior to joining PSRS in 2015, Mr. Argier served as Chief Meteorologist for the CBS news affiliate KIRO-TV in Seattle, and the NBC news affiliate KMIR-TV in Palm Springs, CA. He has received five Emmy awards and three Associated Press awards for his on-air work. During his time with PSRS, Mr. Argier has helped establish its first office outside of Southern California. He is working on growing PSRS’s business and branding in the Southern Nevada commercial real estate market. In his spare time, Mr. Argier enjoys playing golf, barbecuing, going to concerts, and spending time with his wife and two young children.